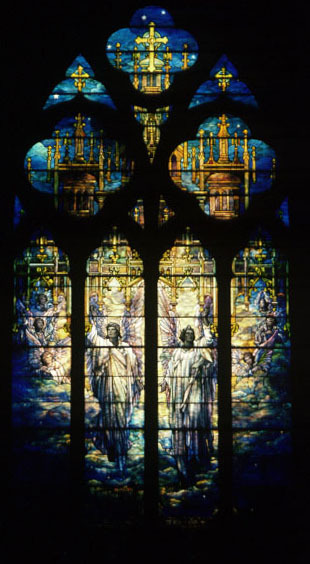 Brief Description of Subject: The window has four lancets with multiple Gothic tracery above. 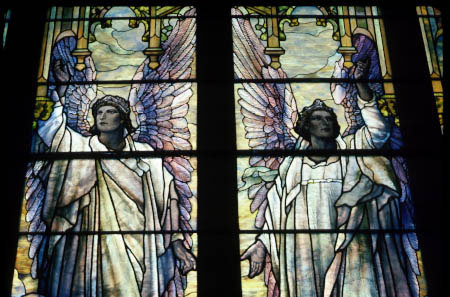 Angels are depicted praising victory over death. The background suggests a heavenly city. Inscriptions: “In loving service we praise God,The United Workers of Park Church, 1927” Followed names of women who raised funds for the window.